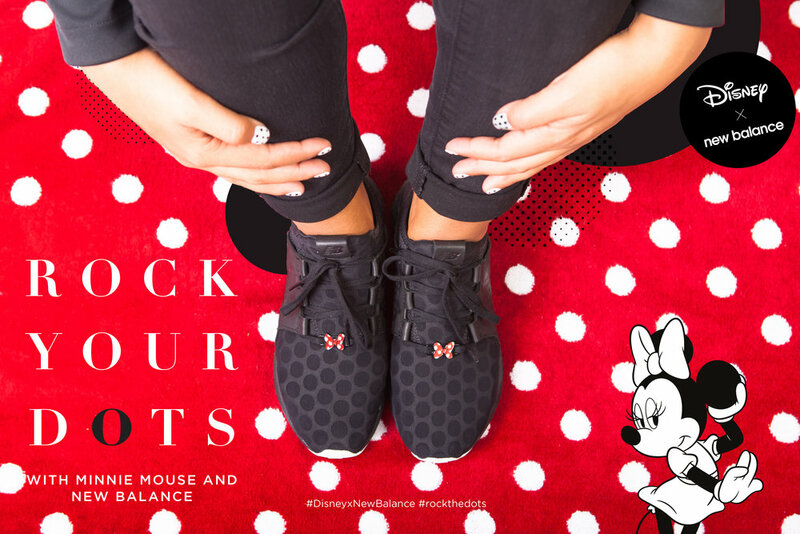 In our on going partnership with Disney, we were one of many brands that participated in their Rock The Dots celebration. 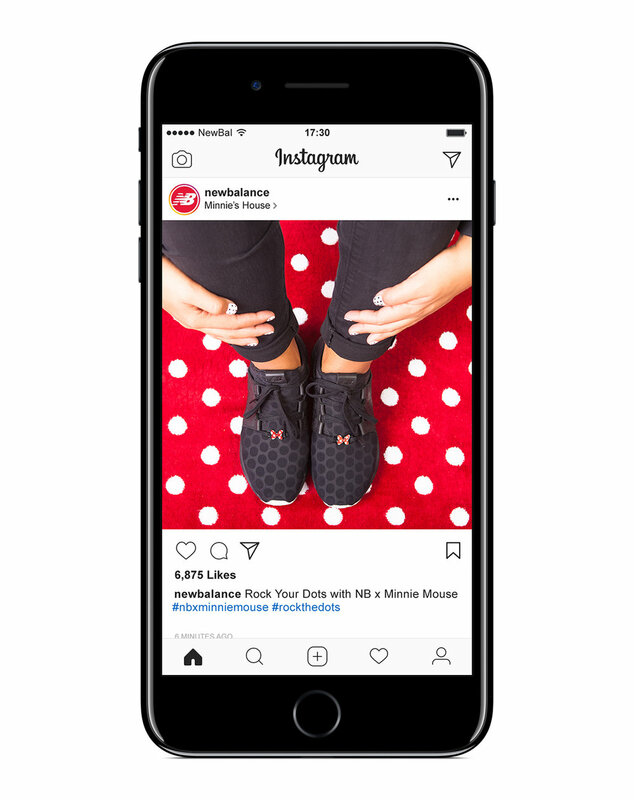 The event itself leads up to "National Polka Dot Day" but also celebrates the one and only Minnie Mouse. 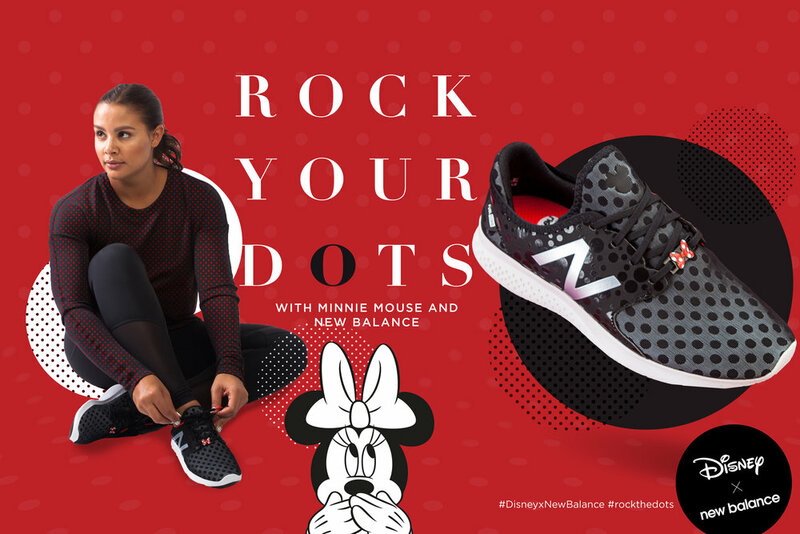 New Balance designed four women's footwear as well as three models for kids to help fans of both NB and Disney rock their favorite character. Drawing inspiration of not only the dots but the classic Disney characters and the simple black & white color palette. Wanted these designs to be both bold and impactful so the footwear was the hero. These concepts lived on our website & social channels as well as many store across the globe.